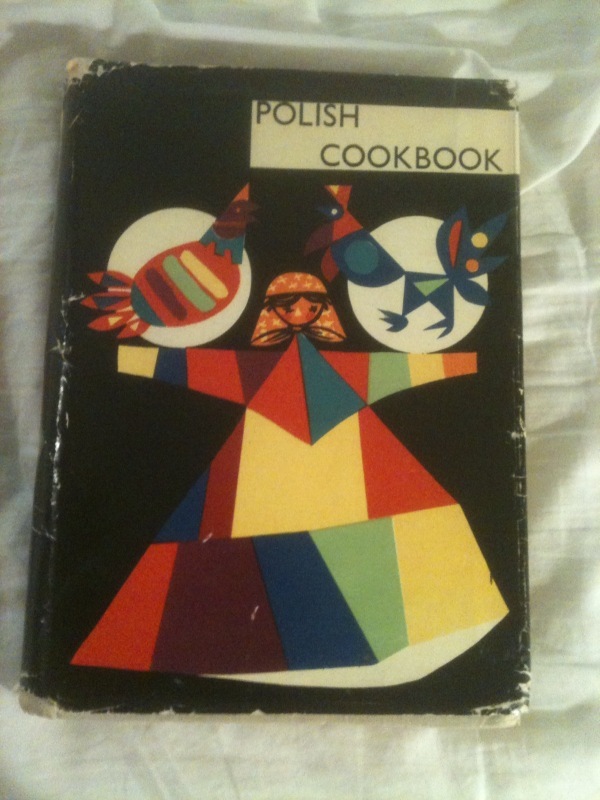 edited by Anna Iwanowski, Polski Wydanietwa Gospodarcze, Warsaw, first edition, 1961. English text. Heavy hardback with colorful pictorial DJ, 523 pages. Polish names of dishes in parenthesis follow English titles. Some vintage color and b&w photos throughout. At the time of publication, Poland was still under Communist rule. Some book pages show staining; DJ has wear at extremities. Hard to find in the U.S. VG/VG.